State of the art fitness and exercise room. Racketball Court, Tennis Courts, Official competition size Swimming Pool. 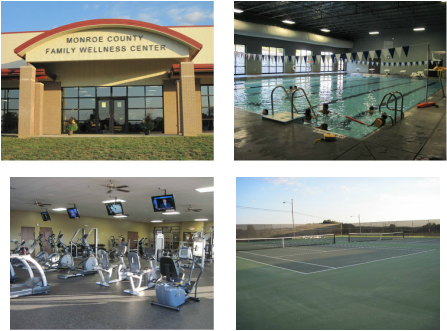 Banquet Room available for events, Swimming Pool available for events, swimming and exercise classes - just simply a wonderful addition to Monroe County.